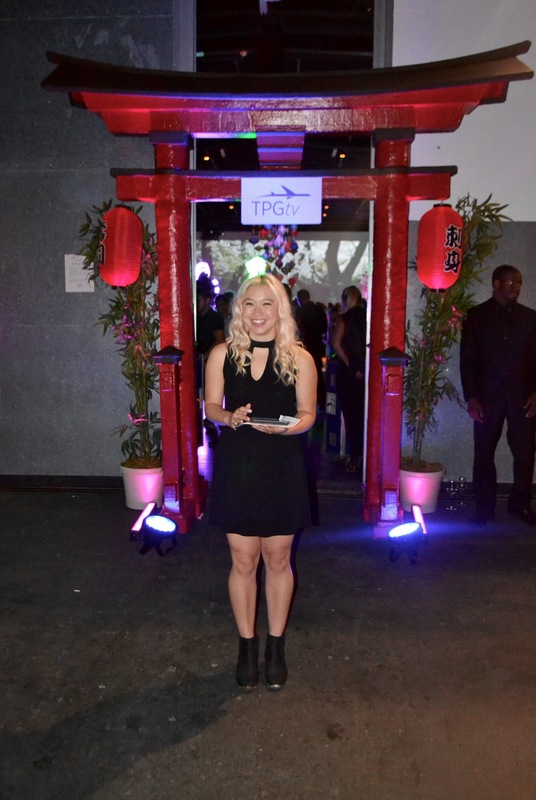 Tuesday July 26 was a night to Remember as TPGtv and The Points Guy, Brian Kelly, hosted a magical Japanese event. 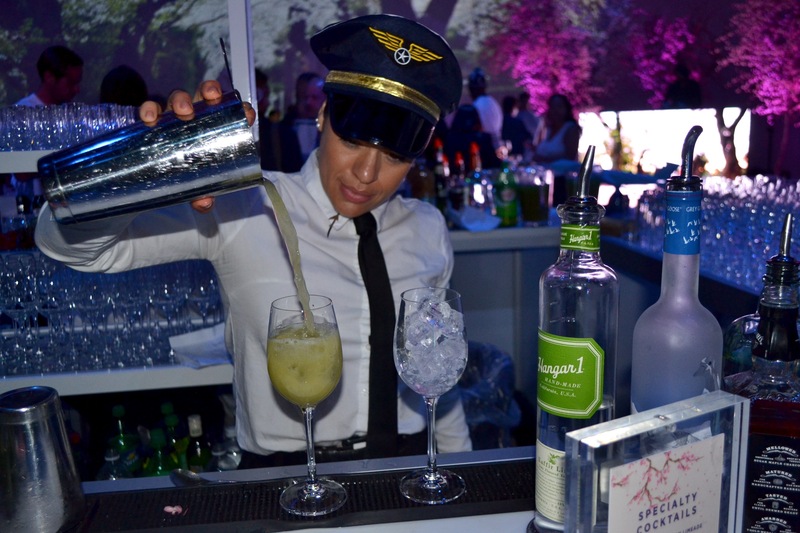 To celebrate the premier of TPGtv Japan, Kelly created One Night in Tokyo, a truly magnificent experience highlighting the sights, sounds, and flavors of Japan. Upon arrival, The Experience Magazine was given a ticket to enter the Quixote Studios which had been transformed into a bite sized version of Tokyo. The fantasy was complete with geisha, garden bridges, blossoming cherry trees, cityscapes and Japanese food and beverages. Sushi was offered continuously through the night by roaming waiters. There was a huge, neon lit bar in the center of the room that served specialty cocktails, beer and wine. 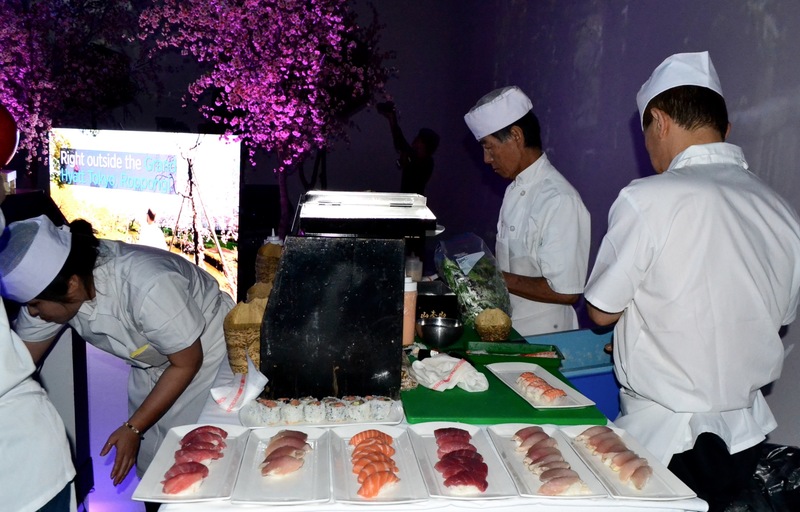 Several different food stations filled the space and featured a ramen bar, kobe chicken fried steak, sushi hand roll stations, and ahi tuna tarts, just to name a few. The food was creative and delicious; a true Japanese experience at every turn. The geisha were on hand to pose with the patrons, and you could chose to dress up in Japanese costumes, or simply hold a parasol or a fan. 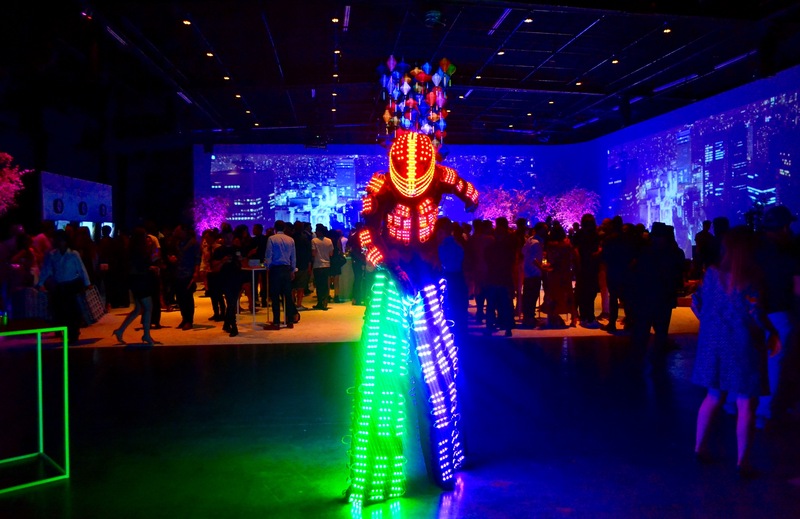 Two seven-foot-tall, neon suited creatures sauntered around the event posing with guests and amusing the on-lookers. The main event of the evening was when Brian Kelly held a drawing for two round-trip tickets to Tokyo, courtesy of Singapore Airlines. Two lucky perspective winners were chosen, and then they were set up to battle for the final prize by answering questions relating to the episode of The Points Guy, Japan that had been running in the background all evening long. The evening was electric, sophisticated, and filled with visual candy. The Points Guy offered more than just travel advice to all who came, he gave them a life-like trip to One Night in Tokyo.